A quick view of the most influential metrics in East Rockaway. East Rockaway is a small, coastal, incorporated village in the town of Hempstead on Long Island in Nassau County, New York. It has two neighborhoods and is the 189th largest community in the state. The community has a rich nautical history, beautiful waterfront scenery and countless beach and water related activities to explore. The village is highly walkable and those employed within the village often walk instead of drive. However, much of the workforce is employed outside East Rockaway and commuting is a necessity. An average commute for residents is approximately 31 minutes. Lucky for residents public transportation does exist in the village and commuter trains are the most popular form. It is a semi-diverse community where English is the primary language followed by Spanish and Italian. Over 42% of adult residents have four-year degrees or higher. Emergency services are provided by the East Rockaway Volunteer Fire Department and law enforcement services are rendered by the Nassau County Police Department. 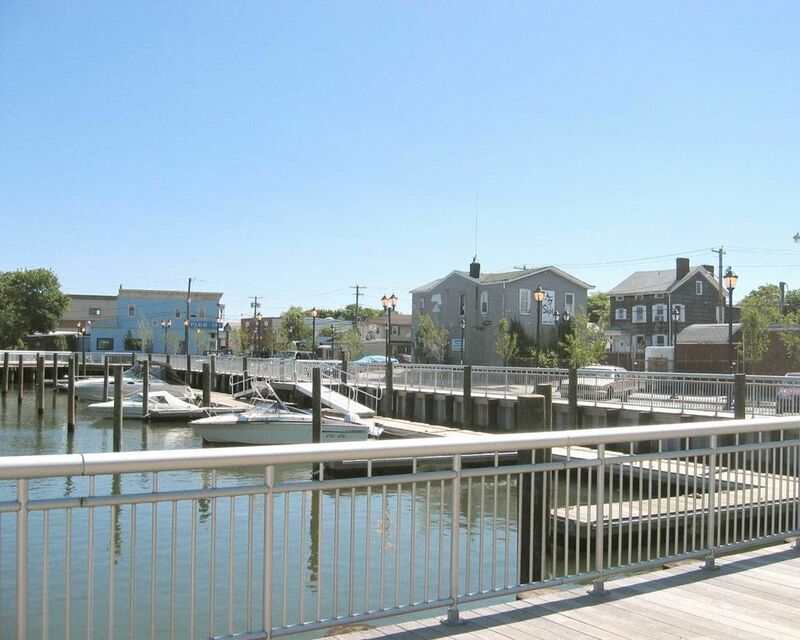 The community was originally named Near Rockaway and in its early history, it was a shipping and trading center for the surrounding south shore area. A grist mill was established on the Mill River in 1688. The mill, which is the Haviland-Davison Grist Mill, still stands and was added to the National Register of Historic Places in 1998. Shipping and milling were the main industries for many years. In 1869, the village's name was changed to East Rockaway. The village was incorporated in 1900, with a population of 969. Today it is a thriving New York suburb full of charms and community pride. The community spans one square mile. In 2000, the population was 10,414, the and the population density was 10,187.6 people per square mile. Also, in 2000 the median household income was $59,911, the median family income was $78,363 and the per capita income was $30,601. By 2010, the population was 9,818, the population density was 9,800 people per square mile. In 2013, the estimated median household income was $91,061 and the estimated per capita income was $43,111. In the same year, the mean housing price on all units was $521,906 and the median gross rent was $1,678. There are two main parks in East Rockaway, Bay Park, and the John Street Complex. Bay Park has courts and fields, two playgrounds, open space for play and picnic areas. The John Street Complex features concession stands, basket ball courts, football fields, and a baseball diamond. The community also has two LIRR stations along the Long Beach Branch. Public education is provided by the schools of the East Rockaway Union Free School District. There are three schools in East Rockaway, Centre Avenue Elementary, Rhame Avenue Elementary and East Rockaway Junior-Senior High. Homes for sale in East Rockaway come in a variety of sizes and styles to suit the needs of buyers. Other real estate options are apartments, condominiums, and townhomes. Call Edward McNulty at (516) 887-3603 for assistance in starting your home search don't wait to find the home of your dreams. View our selection of available properties in the East Rockaway area. Check out the latest demographic information available for East Rockaway. Learn more about schools near East Rockaway complete with ratings and contact information. Browse through the top rated businesses in the most popular categories East Rockaway has to offer.